It takes a lot of experience for a remodeling project to run smoothly. For this reason, it is very important for a homeowner to carefully select a contractor. Many companies can bid and acquire projects, but only a select few can implement them efficiently and in a timely manner. Harmon prides itself in its continuing effort to improve construction practices and create a better image for the construction industry. We believe this can only be done with honesty, integrity and a never ending pursuit of self improvement. Thinking of building a new home? Choosing the right team can make all the difference. We can introduce you to the architect that is right for your project. 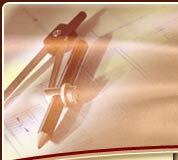 From there we will help extradite your design and permitting processes, all the while keeping an eye on your budget. Professional project management will help you cross the finish line and start enjoying your new home. If you already have architectural drawings, please give us a call and we will gladly provide you with a bid to construct your new home.